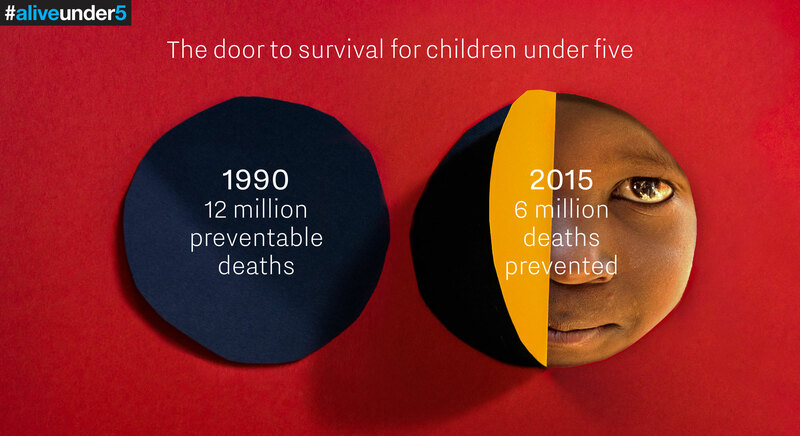 A special design project with the Gates Foundation & IHME illustrating the progress — and challenges — in children’s health worldwide. For those working on the front lines of global health, there’s one overriding indicator of progress: the mortality rate for children 5 and younger. By looking at the outcomes of the youngest and most vulnerable population (largely in developing countries), we know if the resources being dedicated to health programs are truly making a difference. The most recent data tells an incredible (and incredibly hopeful) story of what smart solutions, cooperation, and long-term commitment can do for society. Since 1990, the number of children worldwide under the age of 5 who are dying has declined by more than half–that’s an estimated 122 million children whose lives have been saved. But outside of global health circles, almost no one is aware of this breathtaking development. The Bill & Melinda Gates Foundation, in partnership with the Institute for Health Metrics and Evaluation (IHME), and FastCo. Works, Fast Company’s custom content studio, aim to change that with Alive Under 5. The project features five all-star designers humanizing the data and bringing these compelling stories to life in hopes of engaging a larger audience. In the images below, see how Gail Anderson, Michael Bierut, Stephen Doyle, Chip Kidd, and Debbie Millman visually interpreted the recent progress and lingering challenges of the world’s poorest children. And read how Bill and Melinda Gates addressed these issues in their annual letter for the foundation this year. Artwork by Stephen Doyle. See the original version. Data from IHME. Click here to learn more about how organizations like the Gates Foundation are helping to reduce the mortality rate of children. Stephen Doyle is the creative director of the design studio Doyle Partners. Video by Debbie Millman. Click here to learn more about the advances being made around the world in the areas of maternal and infant health. Debbie Millman is a designer and the host of Design Matters. Artwork by Chip Kidd. See the original version. 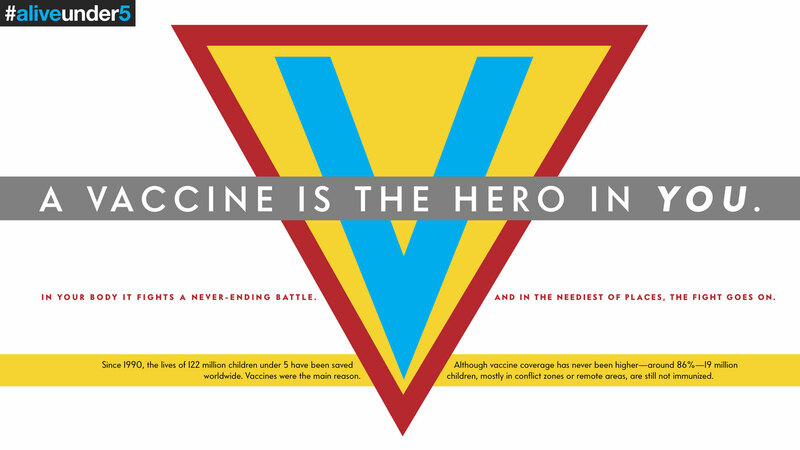 Click here to learn more about the impact widespread vaccine coverage is having on child mortality rates. Chip Kidd is a graphic designer known for his groundbreaking book jacket designs. Artwork by Anderson Newton Design. Click here to learn more about the effort to stop deaths in children from preventable diseases. Gail Anderson is a designer, writer, educator, and partner at Anderson Newton Design. Artwork by Michael Bierut. See the original version. Data from IHME. Click here to learn more about the global battle to end HIV, TB and malaria. The numbers around HIV, tuberculosis, and malaria–three of the biggest killers of children in the developing world–speak to great progress but also the urgent need for more work. According to the IHME, over the past 10 years, deaths due to HIV/AIDS have been reduced by 55%, tuberculosis by 39%, and malaria by 47%. Michael Bierut is a partner at Pentagram, a co-founder of Design Observer, and a teacher at Yale School of Art. To dive into the data around these global health issues, visit IHME. And for a detailed look at the inspiration behind the project, read this excerpt from Bill and Melinda’s annual letter. This article was created for and commissioned by the Bill & Melinda Gates Foundation.